The ONE FC Return of the Warriors is getting closer each day! So keep your 2nd of February 2013 free to watch the show. If you are unsure what's ONE FC, please watch the video below. :) Also I attended a workshop just last week as Peter Davis and Eric Kelly taught us some moves :) Pictures will be showed as you read the blog post. Expect to see the four top Mixed Martial arts (MMA) prospects in Malaysia as they will battle it out in the first round of the tournament, on 2nd February 2013 (remember to mark this date down!) at the state-of-art Stadium Putra, Kuala Lumpur Malaysia. "The two fights signed for this historic tournament are Raymond “The Rocket” Tiew taking on Melvin “Overkill” Yeoh and AJ “Pyro” Lias Mansor squaring off against Jian Kai “The Headhunter”Chee. By the end of the evening, Malaysians will know who the top two contenders for the National Featherweight Championship title will be." 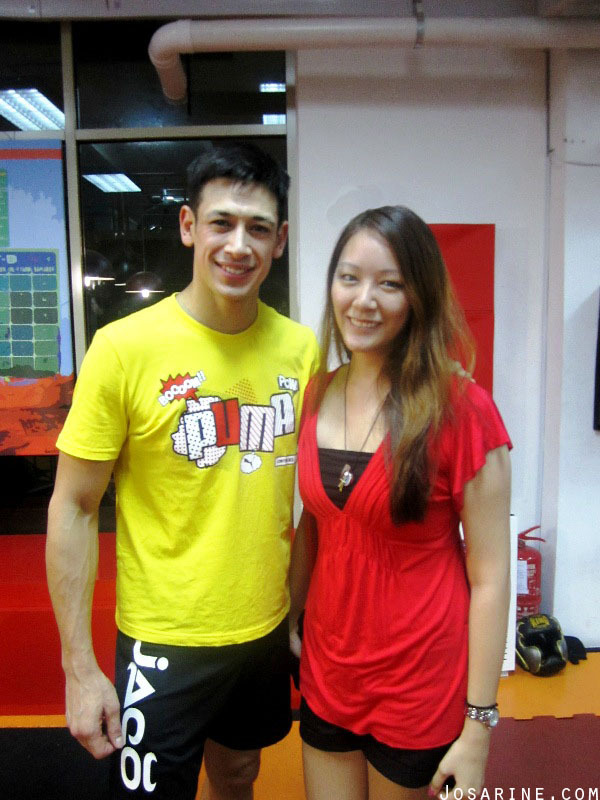 Raymond Tiew is a Sanshou Champion who has also represented Malaysia at Wushu. Tiew knows that this is his chance to show that he is the top Malaysian Featherweight but first he must get passed the brawler from Johor Bahru, Melvin Yeoh. Melvin Yeoh has been called the top MMA prospect in Malaysia by international MMA media. 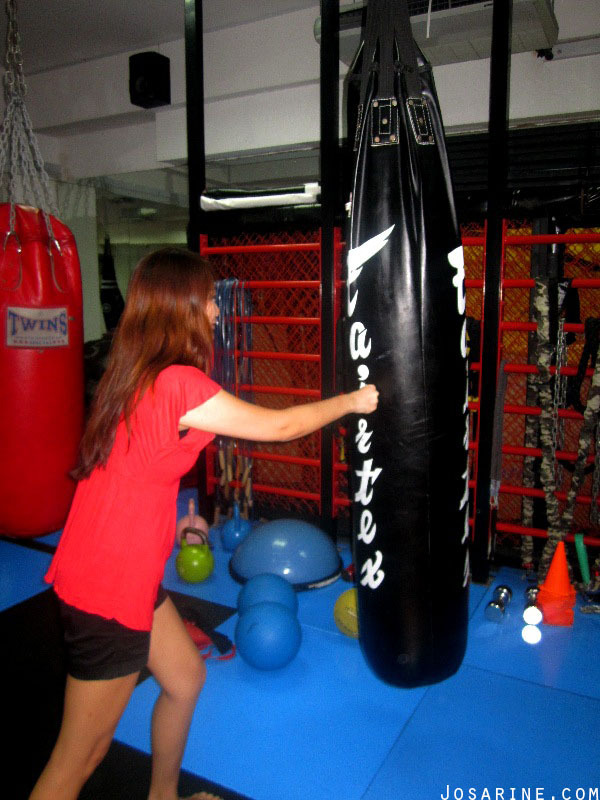 A full-time school teacher, Yeoh has received much media attention both outside and inside the cage. This ferocious warrior will carry the weight of the community, gym and country come 2 February. The second fight of the tournament will be between AJ “Pyro” Lias Mansor and Jian Kai Chee. Mansor is the first thoroughbred Silat fighter to ever compete in MMA. His athletic ability earned him the National Silat Champion crown in the past and he will now turn his razor sharp striking toward his opponent, the Muay Thai champion Jian Kai Chee. Chee has competed against some of the top MMA fighters in the region including Ole Laursen,Arnaud Lepont and Eddie Ng. Chee’s strength is his ability to finish a fight in an instant with punches, kicks, knees or elbows and will be looking to showcase his arsenal of skills at the Malaysian National Featherweight Championship tournament on 2 February in Stadium Putra, KL. For this picture, Eric Kelly and Peter Davis demoed a technique useful for women. Please watch the video below. Three of the fellow bloggers when up front to try a few stunts. Took another picture with Peter Davis! If you missed the first blog post on One FC, please visit here. I remember my hand hurt after i punched the bag. The tickets to this show are powered by Tune Talk and are available at www.airasiaredtix.com, priced RM345 for the complete VIP experience with exclusive red carpet entrance, access to the VIP lounge and premium cage-side seating (This would be AWESOME!). Followed by RM145, RM95, and RM45 for the other seatings. Please note that there will be booking fees and service charges. Not in Malaysia? No worries because you fans from around the world will be able to witness the action online by streaming at www.onefc.livesport.tv. The first two undercard fights are available FOC, and the main card fights is just US$9.99. 5 Pairs of ONE FC tickets for GIVEAWAY! How to make things VANISH? Schwarzkopf Unveils Its 10 New Ambassadors. Swedish House Mafia's One Last Tour Baby!